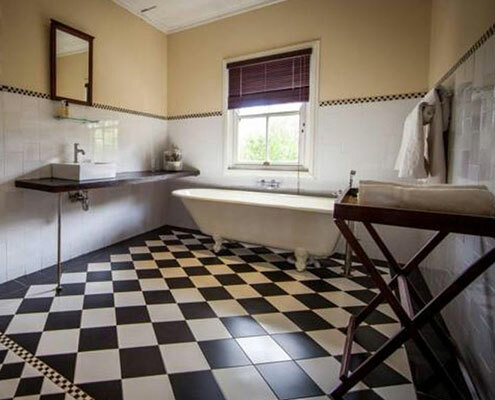 Colonial style luxury with vistas of endless rolling hills at your feet. 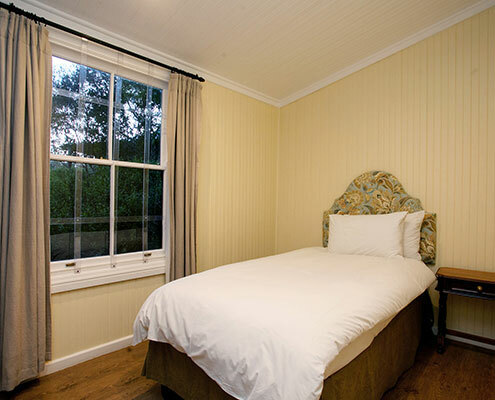 with vistas of endless rolling hills at your feet. 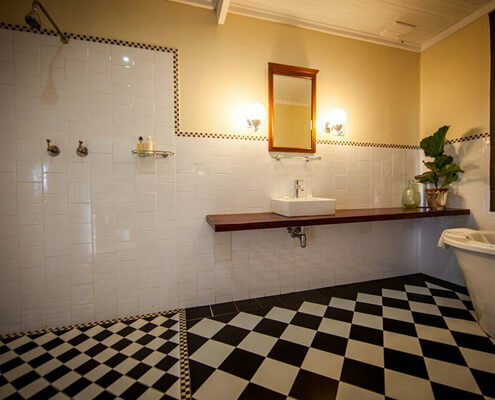 All our suites and accommodation are well appointed for optimal guest comfort. 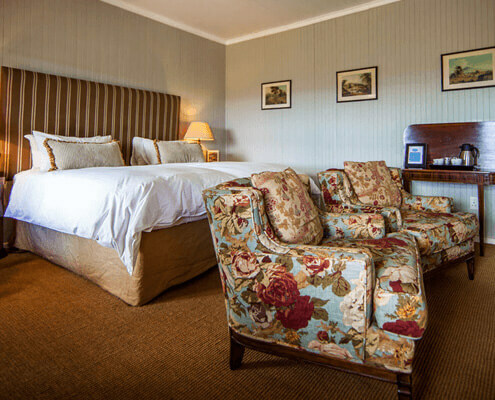 Beds are King size or 2 singles depending on guest requirement. Each of these suites is uniquely decorated, featuring earthy colours and natural textures accented by richly-hued antiques, Persian carpets, polished wooden furnishings and objects d’art. 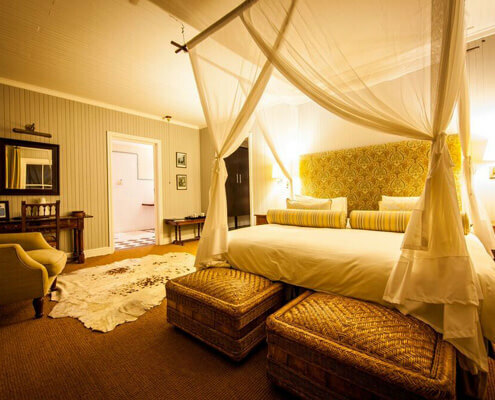 Both our Superior Suites have plush four-poster or twin beds and en-suite bathrooms. 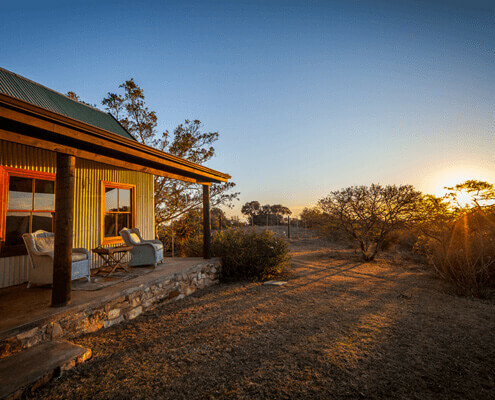 Private verandahs adorn the suites and have beautiful views onto the lodge gardens, the Addo Elephant National Park in the distance and the expansive mountains beyond. 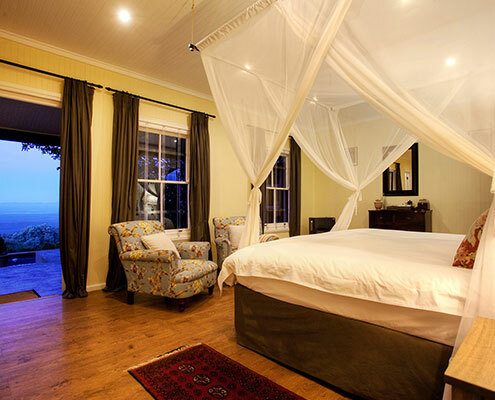 All our accommodation boast sumptuous furnishings, mosquito nets and crisp percale linen. 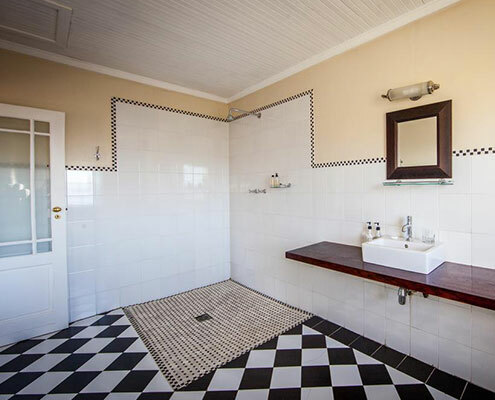 The private bathroom includes a bathrobe, slippers and hairdryer. Our Superior Boardwalks Suites are built 4 meters above the mountain cliff. 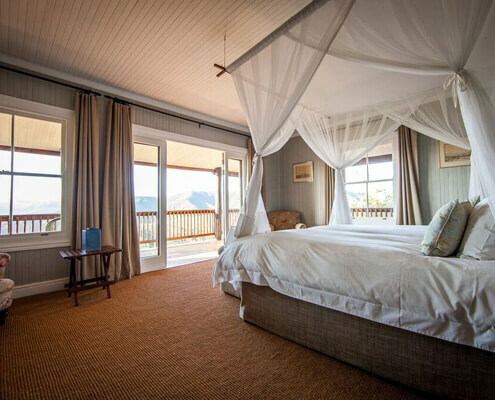 Each suite has its own private balcony which offers unsurpassed views of the Zuurberg Mountain Range. 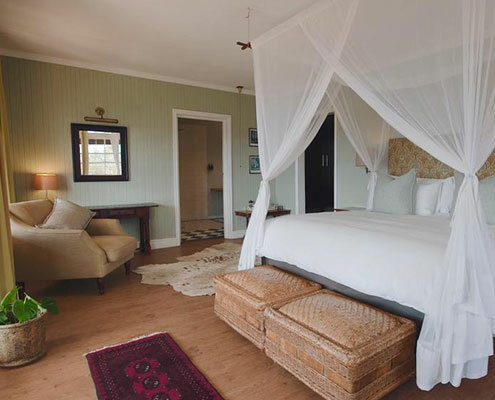 These Suites are decorated with a turn of the Century Colonial feel and each suite has a plush four-poster or twin beds. 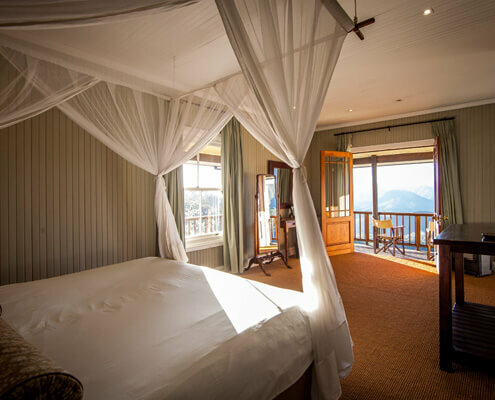 Our opulent Luxury Suites are built 4 meters above the mountain cliff. 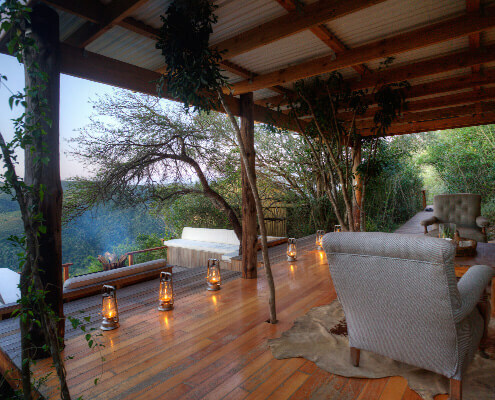 Each of these large suites host a main bedroom, large private lounge and luxurious bathroom – each with fold back doors that open onto the wrap around balcony and provide the guest with the breath taking views of the vistas beyond. 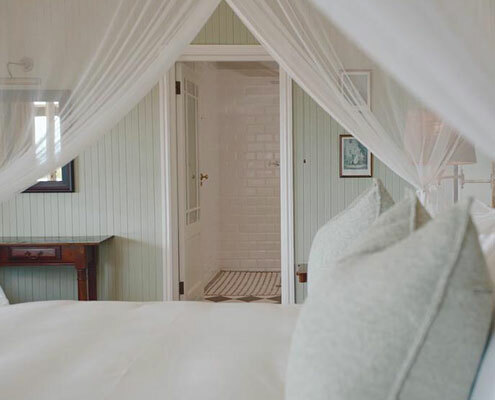 All our suites boast sumptuous furnishings, mosquito nets and crisp percale linen. 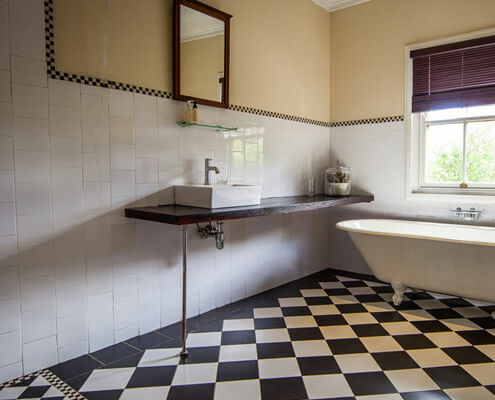 The private bathroom includes a bathrobe, slippers and hairdryer. Our Poolside Suites are stunning individual suites that can also be turned into a Family Suite with it’s interleading door. 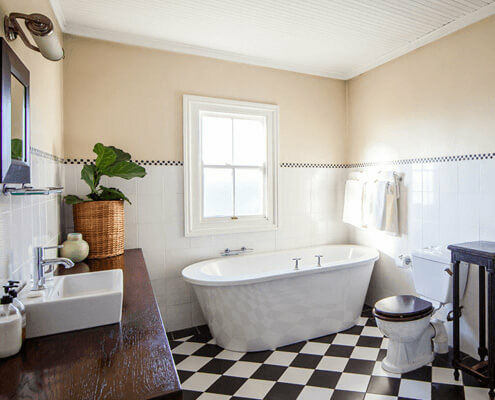 Each private suite hosts a main suite with en-suite bathroom, along with one smaller room which has a single bed within. 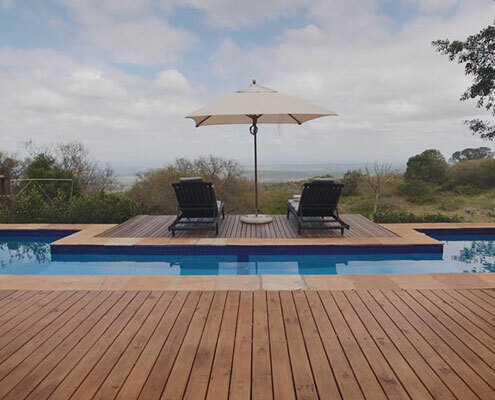 These two suites have access to a shared private pool which overlooks the expanse and open lands of Addo. 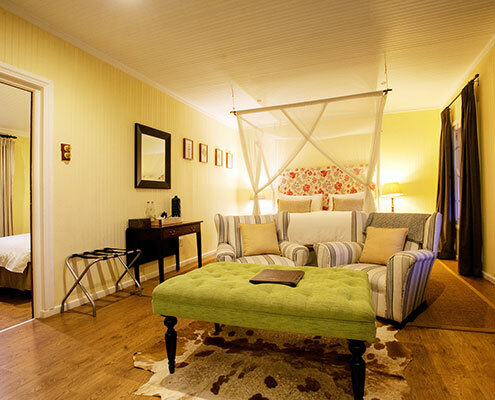 So put your feet up and relax in these beautifully decorated suites or enjoy a dip in the pool. 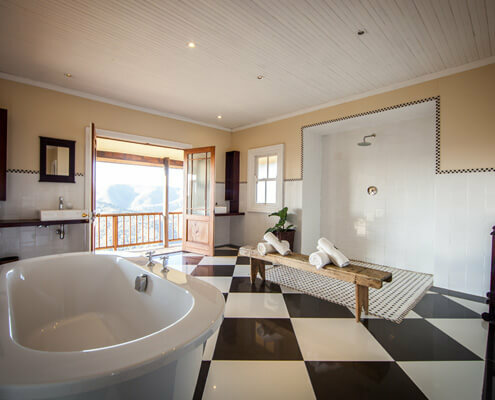 As with the rest of our lodge, these suites are adorned with a warm, inviting fashion reminiscent of the Colonial Era Safari Lodges, with all the luxurious accommodation comforts you would expect. 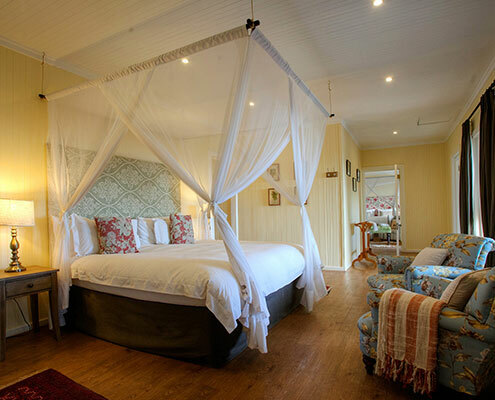 Note, should you wish to enjoy some private time or simply need a few hours off to visit the nearby Addo Elephant National Park, babysitting is available upon request – please email reservations@campfigtree.com should you wish to book these suites for a family of between 4 and 6 members (subject to availability). 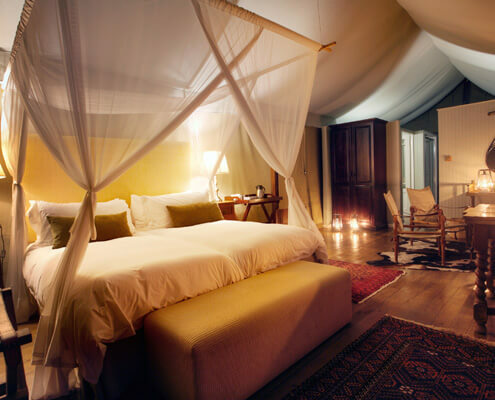 For the ultimate African experience our Luxurious Tents are an extremely popular option. Each privately built over the mountain edge, they provide guests with the most spectacular and unrivaled views. 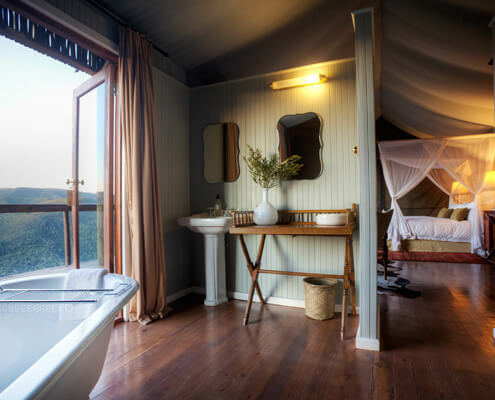 Each of the tents have a main suite with en-suite bathroom, free standing bath and private shower and toilet. 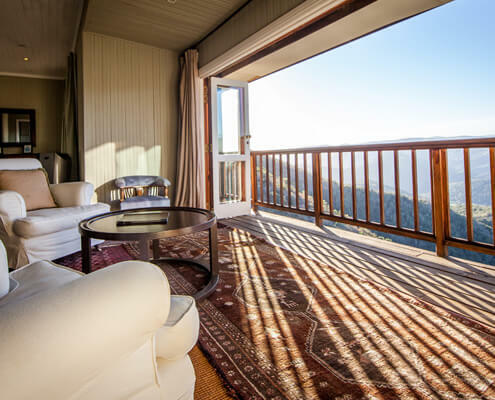 A private balcony provides the guest with panoramic views of the mountains. 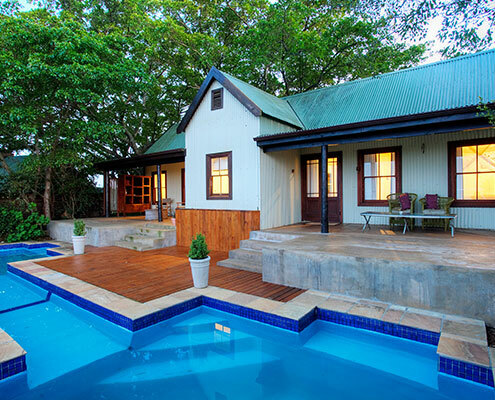 Ideal for honeymooners or couples looking for maximum relaxation and privacy. Please note: Children under the age of 13 years are not permitted to stay in the Luxury Tents.